Forget about public instant messaging solutions if you strongly require to keep the message archive and all other information confidential and inside your company. Bopup IM built for your safety and security. Server-side enterprise software that organizes, manages and controls all of your private IM system. 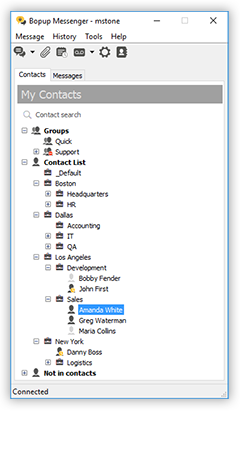 Full-featured corporate IM client that exchanges both personal, group messages and files safely. 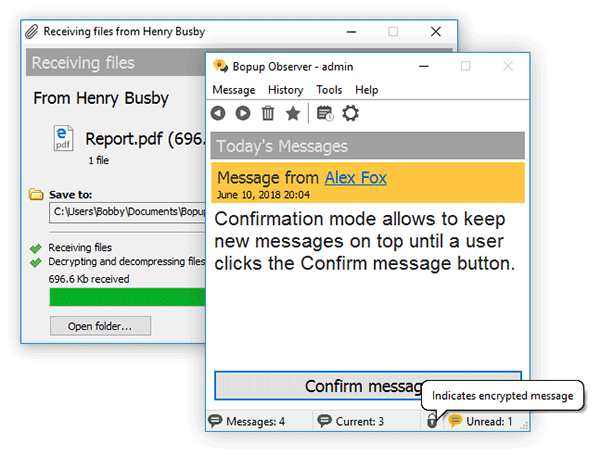 One-way messenger is to receive messages and files. Ideal for alerting, urgent and emergency notification. 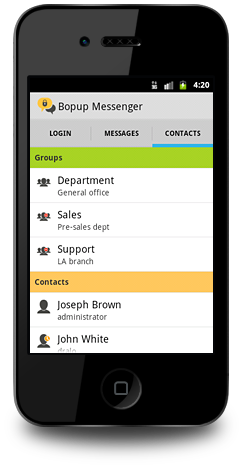 Build your own, customize, integrate and extend existing apps with instant messaging functionality. 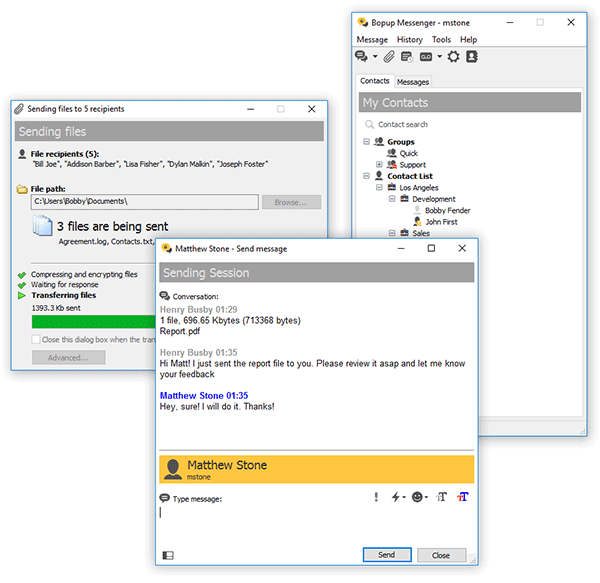 Bopup IM is a corporate instant messaging suite designed to provide efficient private communication over networks of any size including small and office LANs, WANs and large enterprise and business networks with connections over Internet. 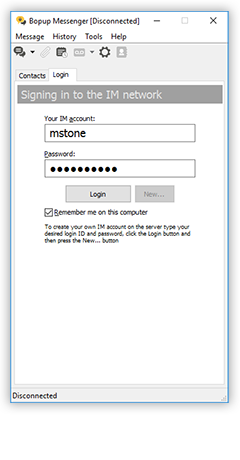 This IM software is based on a client/server architecture so you have to configure the communication server and deploy client messenger applications on users' and employees' PCs. Download and start a free evaluation of 45-day trial versions of the software today! 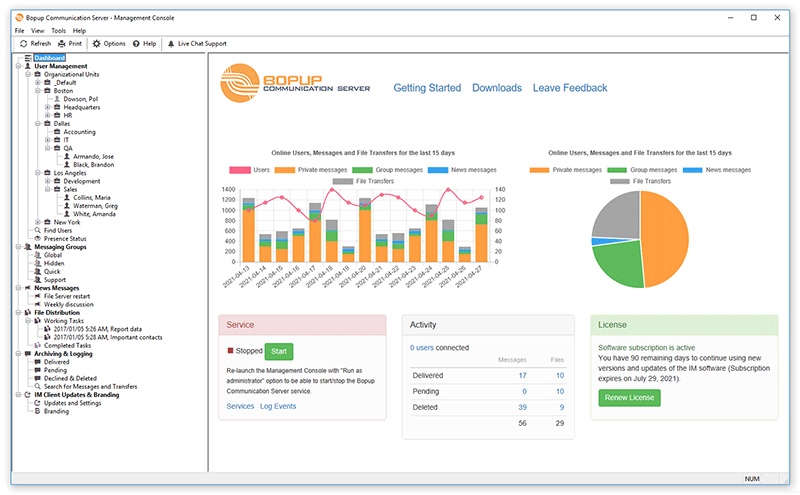 Fully functional releases both of the server- and client-side software let see how the product operates and looks. No registration is required for download and installation that takes around few minutes. Try it out right now!